Women all over the world are scared of putting on excess weight at any time during their lives and pregnancy can bring even more fear of getting obese. Unfortunately putting on weight during this time is unavoidable and a sign of a healthy baby and pregnancy and should not provide stress and worry at all. However the fear of gaining weight can cause some women to continue or even begin taking slimming pills. The dangers of slimming pills are becoming increasingly understood though their effect during pregnancy may remain somewhat of a mystery. If however the female is taking drugs that contain amphetamine, high levels of caffeine, cocaine or other stimulant substance that effects are well known. They can cause an increase in heart rate, palpitations, a surge in blood pressure among other things and be extremely dangerous to health in a non-pregnant female. Couple these dangers with the increased stress on the body that is caused through pregnancy and the risks become greatly increased. The effects of high blood pressure during pregnancy are well known and can be extremely dangerous for both mother and child often resulting in the child being born prematurely. The effects of slimming pills on a developing foetus are not well known as it is difficult to study this subject group. 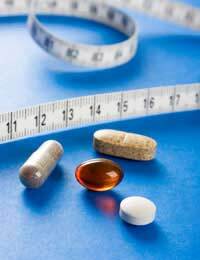 It is known however that many drugs that are contained in illegal slimming pills and some illegal drugs that are regularly taken for their affect on appetite can be highly dangerous to a child and often have the potential to cause the child to be born with dependence to the substance. As the effects of slimming pills are not known in this group, they should not be taken whilst breast feeding a child as it is not known whether the drug is excreted in breast milk and passed on to the baby. The internet and magazines seem to be able to sell any type of tablet they choose without informing the user of the actual ingredients or effects on health and many may be extremely dangerous. There is no law really surrounding this area though most slimming pill manufacturers do clearly label their products with a warning to pregnant women and most do not advocate their use during this time. If you are concerned about your weight or are currently taking slimming pills and wanting to conceive, please speak to your GP about the effects to both you and your baby and discuss other methods of losing weight safely and for longer term results. Most doctors will tell you that there are no safe slimming pills and certainly none that can be taken when pregnant. Most slimming pills contain ingredients that put extras strain on your circulatory system and can put you at risk of strokes, high blood pressure or heart attacks. Slimming pills, should never be taken during pregnancy or when breast feeding and some consideration should be given when considering trying to get pregnant and the pills given up well in advance if they are being used in order to make sure they are totally out of your system before a pregnancy is conceived.